Our 2nd Annual Arizona Cannabis Event in Arizona. Come celebrate with our community with an event that will award the winner of the Errl Cup with bands, food, and vendors. 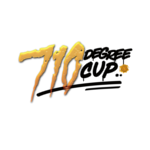 This event focuses on concentrates and celebrates with good food, bands, the awards for the 710 Degree Cup Arizona Cannabis Event and Awards. We use our patients as judges of the best medicine in Arizona. If you would like to have a chance to win a judges spot at the next Errl Cup make sure to register and complete the other tasks to increase your chance to win.